When the original Donkey Kong Country was announced for the SNES, I remember being really excited for the game, and I even received the VHS tape Nintendo mailed out to help promote the game. The game released in November of 1994, and it was on my Christmas list that year. I knew I was getting it, because I was at Toys R'Us when my mom purchased(I knew Santa wasn't real!). Instead of waiting patiently for Christmas day, I was super excited about the game and ran around the house acting ape like, begging my parents to let me open it early. There was some stipulation to opening it early, but the running around like an ape helped; and I was able to open it early. 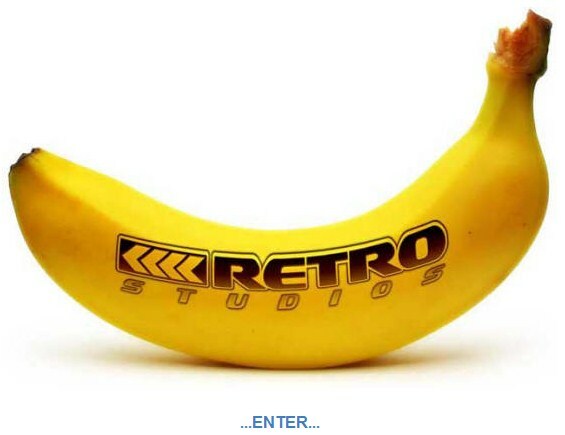 Last week at E3, Nintendo announced that Retro Studios was working on Donkey Kong Country Returns. I was glad to see it, and after watching the trailer(multiple times) it looks like the game is coming along nicely; and should be a great return for the Donkey Kong Country series. Now, let us look at some data! Donkey Kong Country was originally released for the SNES on November 21, 1994. Donkey Kong Country 2: Diddy's Kong Quest was released for the SNES in December of 1995; it was released. Donkey Kong Country 3: Dixie Kong's Double Trouble! was released for the SNES on November 22, 1996. All three Donkey Kong Country games are still available for download on the Wii's Virtual Console service for 800 Wii Points each. Donkey Kong Country has 138,354 players reporting their play-time data. Donkey Kong Country 2 has 57,322 players reporting play-time data. Donkey Kong Country 3 has 32,697 players reporting play-time data. I checked the Virtual Console's "Popular Titles" section, at 11:55PM on 6-24-10. The original Donkey Kong Country was the only game I saw listed, and it was at the #7 spot. The "Popular Titles" section shows the "Top 20" Virtual Console titles that Wii owners are downloading, I believe for that day. I also find it interesting that from the data collected, as of June 21, Nintendo has made approximately $1,826,984 off of the three Donkey Kong Country games on the Virtual Console. Donkey Kong Country was released through the Virtual Console on February 19, 2007. The data pictured/written above was totals, from February 19, 2007 through June 21, 2010. 1219 days; or 3 years, 4 months, 3 days including June 21. Donkey Kong Country 2 was released again through Nintendo's Virtual Console service on May 21, 2007. The data totals above are reported for 1128 days; or 3 years, 1 month, 1 day including June 21. Donkey Kong Country 3 was re-released for the Virtual Console on December 24, 2007. Total days it has been on the Virtual Console, including June 21, are 911 days; or 2 years, 5 months, 29 days. Did you play the original Donkey Kong Country games? If you didn't play all of them, which ones did you play? I owned the original, Donkey Kong Country, but I didn't own the DKC2 or DKC3; though I did play DKC2 and I think I played a bit of DKC3. Do you think the review score averages for the games are correct, with Donkey Kong Country 2 being slightly better than the original? I would have to play them again before deciding, as it has been YEARS since I have played/completed Donkey Kong Country. Last, but definitely not least, are you excited about Donkey Kong Country Returns? Is it a "day one" purchase now, or are you taking a "wait and see approach" as I am? As for Donkey Kong Country Returns, the game doesn't have a solid release date yet, but Amazon.com is taking pre-orders on it. If you want to download any of the original Donkey Kong Country games off the Virtual Console, you can purchase them directly from the Virtual Console or use a Nintendo Wii Points card. I played a lot of the first game with my then best friend and I loved it. I think I even liked it more than Super Mario World. I remember trying out the other two games at stores but not liking them as much. Having no Donkey Kong and then no Diddy Kong wasn't helping either. I got the first game from Wiiware and still loved it. Then I got the second one and was disappointed. It doesn't have the same magic the original did. I feel some of the levels are way too big and while I liked every animal companion in the first game, I don't like the spider. I'd like to play more of it but I don't feel compelled to do so. I know a lot of people say it's a superior game, but I just don't feel it. As for DKCR, that is definitely the game I am looking forward to the most. 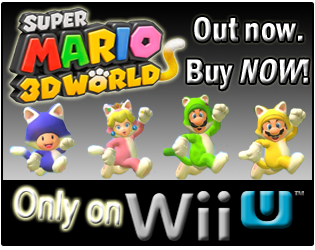 I have a few complaints (I don't like the Tikkis) but I'm sure it'll still turn out to be a good platformer. And hurray for more simultaneous coop action. Jonath, I'm with you, when I listen to podcasts, the general consensus is that the first game pales in comparison to the two sequels, I just can't relate to that. The original was stellar. Oh, the multiplayer, man you can not beat that kind of multiplayer. "Hey, switch, I can't do this jump!" My sister and I would play that game for hours. I love the treehouse level, it reminded me of the Ewok village in Return of the Jedi. Man! Why haven't I downloaded that yet. I burned through DKC 1 back in 1994, my friend and I played it through in one weekend. Then he let me borrow it and I played through it again and got 101% completion. Then DKC2 came out and I think I even burned through that game even quicker. I remember going to walmart to browse through the guide so I'd know where to find all the bonus stages to get the 102%. 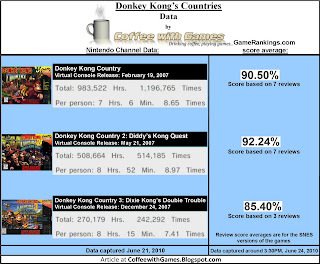 I agree with the data that DKC2 is the better game. I can still picture Diddy Kong now, stepping on the target at the end of a stage then doing a little rap. For DKC3, I have the original snes game but no longer have an snes. I bought it for the VC but only have went through a couple of stages. Yes DKC Returns is going to be a "day one" purchase for me. I bought $25 worth of adapters and equipment so I can hook my Wii up to my computer monitor and use the speakers. "And hurray for more simultaneous coop action." 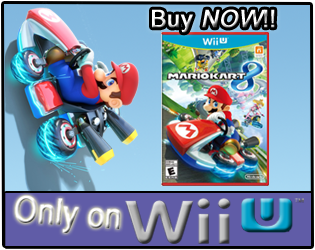 I wonder if it will be as crazy as New Super Mario Bros. Wii?! "I love the treehouse level, it reminded me of the Ewok village in Return of the Jedi." You aren't the only one! And I love some Star Wars! Watched the two original Clone Wars DVDs tonight for the TV series...the shows that lead directly into Episode III. "Yes DKC Returns is going to be a "day one" purchase for me. I bought $25 worth of adapters and equipment so I can hook my Wii up to my computer monitor and use the speakers." Is there anything that would change your mind on it being a day one purchase? Like if they do/don't include certain items or characters? Thank you all for the comments! @Coffeewithgames: I don't think so. The original and DKC2 were perfect imho.